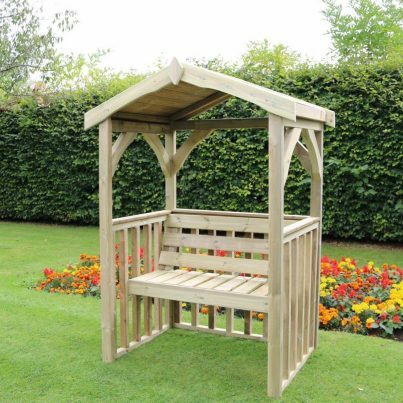 The four seasons garden arbour is one of our favourite outdoor seating options. 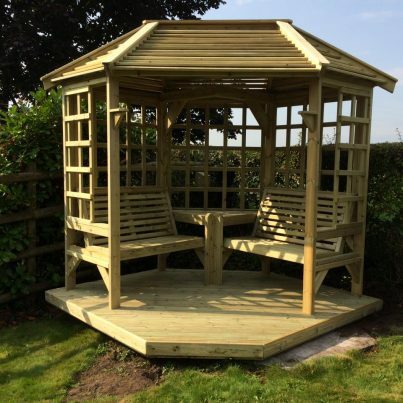 This truly stunning garden room not only looks amazing, it is also functional and sociable! 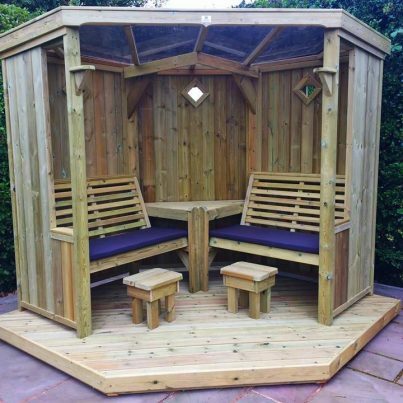 Designed for all year round use there is no better way to enjoy those mild autumn nights or crisp winter mornings than sitting in your garden room with a hot mug of tea or coffee. 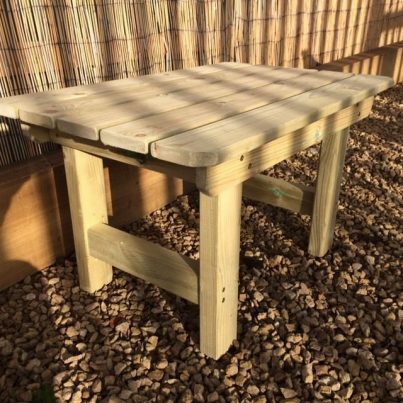 If you are feeling a little nippy then just light up the bio-ethanol table top heater to take the chill out of the air. 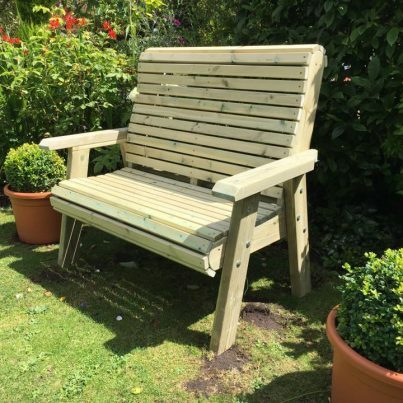 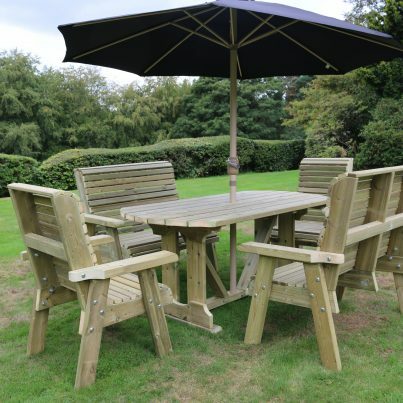 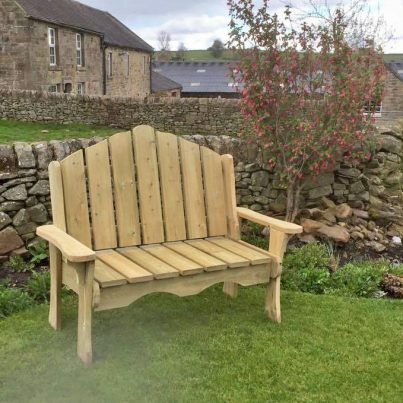 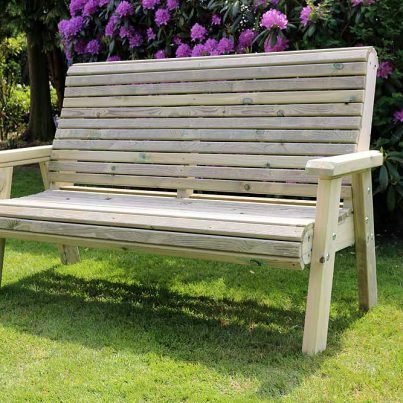 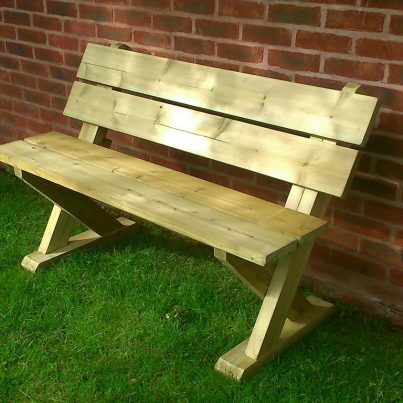 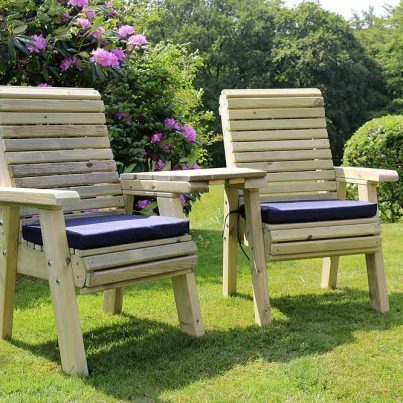 Free delivery and assembly to many UK Mainland postcodes – please enquire for more details. 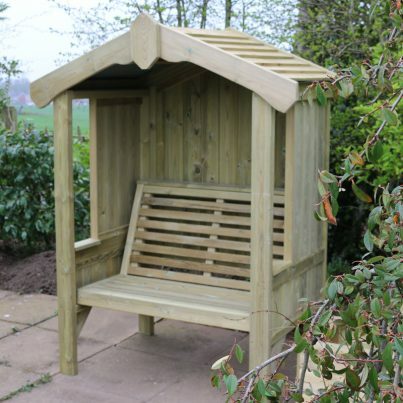 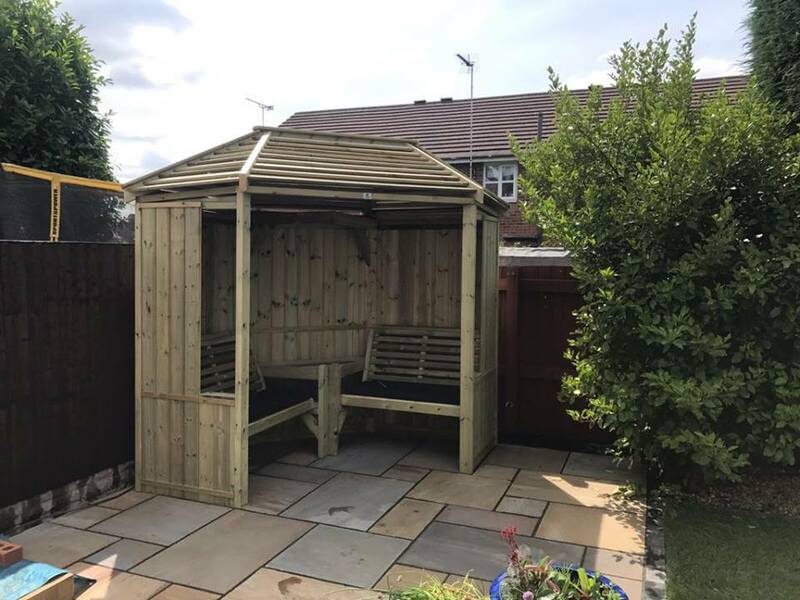 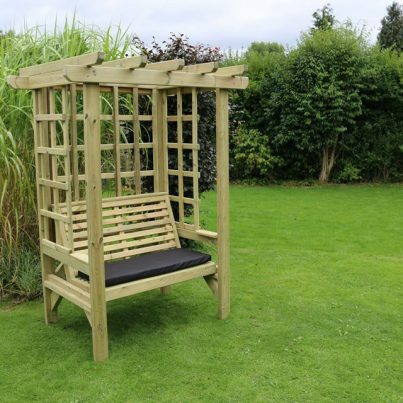 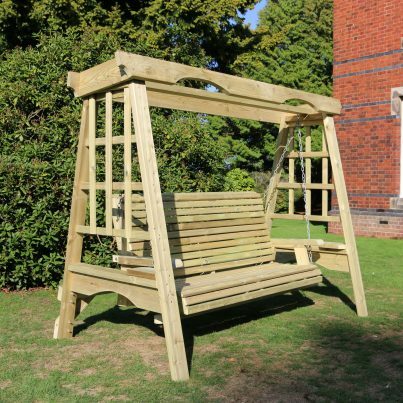 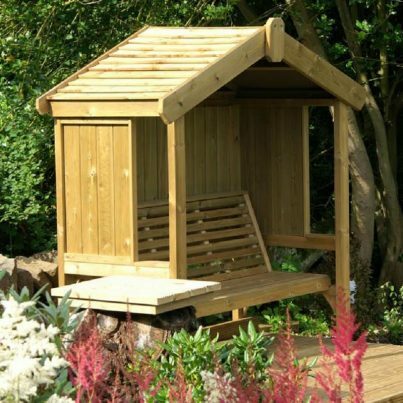 Our popular Corner Arbour with Louvre Roof option. 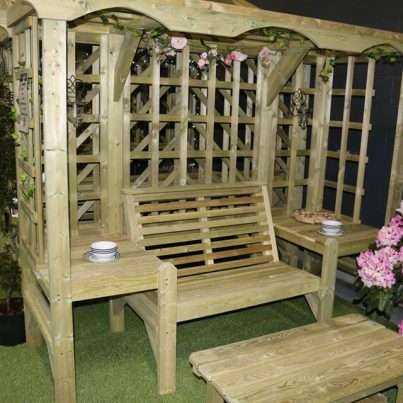 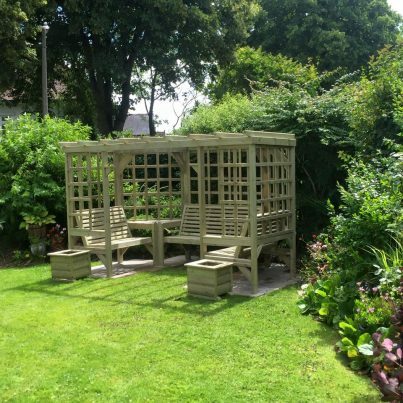 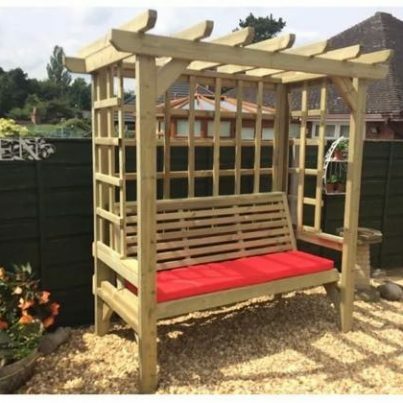 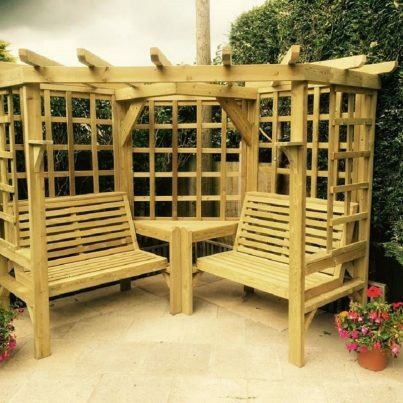 The MIdsummer 2 seater arbour - beautiful and unique garden seating.